Maybe after ill-fated bids over many years for the likes of the national football stadium, Olympic Games, and Capital of Culture our city leaders have an aversion to aiming high. Perhaps after nearly a decade of austerity the public sector is risk averse, unwilling to put cash on the table in case there is no return. And maybe the political classes fear the keyboard warriors whose comments on our websites ask first how much something costs and second why is the money not being spent on the homeless, schools or social services. It is probably a combination of all three which makes them nervous about throwing Birmingham&apos;s hat into the ring for a Commonwealth Games bid. 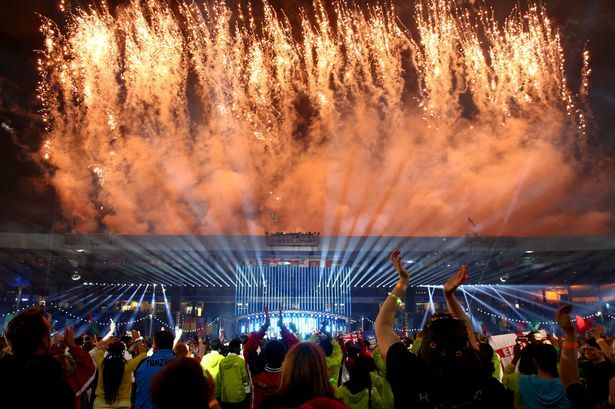 Since the Mayor of Liverpool, admittedly looking for positive vote-winner in the middle of his re-election campaign, decided to pitch for the 2026 Commonwealth Games there have been many in Birmingham asking why we are not doing the same. Certainly when Alexander Stadium was expanded five years ago the intention was to use that as the starting point for a Birmingham bid. But now the Diamond League athletics and British Championships plus the odd international indoor championship at the NIA, while admittedly impressive, are the best we can expect. Council leader John Clancy was lukewarm at best and West Midlands Mayoral hopeful Sion Simon was against the idea, preferring investment in grassroots sport with a guaranteed return. As those most likely to be in charge of the city coffers over the next few years their caution is understandable. They are also dealing with a long-term project – the bid is two years away and the Games themselves another eight years away after that – in the context of immediate concerns like the fire-fighting that comes with balancing council budgets year to year and ensuring bins are emptied, potholes fixed, vulnerable people are looked after and housing is up to scratch. There is a need to look ahead. By 2026 Birmingham will be a very different place. We are, after all, nearing the end of austerity and there is a creeping sense of economic optimism thanks to the continued success of JLR, the impending arrival of HSBC and more at Paradise Circus and the construction and delivery of HS2. The city also now has an athletics stadium of international stature, a competition-size swimming pool at the University of Birmingham and could draw on further support and use venues across the region to deliver an impressive Commonwealth Games. The legacy would be huge, not just the boost to the visitor economy and tourism, but as a statement of city pride. It would also be a launchpad for further events, investment and growth – as both Manchester and Glasgow have found. It would also wipe away the ongoing and crippling sense of failure hanging over from those failed bids a few decades ago. Liam Byrne, this week joined his fellow MP Khalid Mahmood in calling for Birmingham to step up and show some ambition. Mr Byrne said we should stop being so modest as a city and start aiming high again. How the empty unit in Dale End looks today. When Toys R Us moved out of its Dale End store a decade ago, it was widely thought that this spelled the end for that carbuncle building and the shabby multi-storey car park above. The site, along with the Priory Square shopping centre, has long been earmarked for the Martineau Galleries development and with the impending arrival of HS2 nearby it was hoped this neglected part of the city centre might finally get the regeneration it so badly needs. Alas the news that IKEA will be setting up shop in the old Toys R Us unit appears to have dashed those hopes. The Swedish furniture giant’s arrival in Birmingham, even as a testing ground for a new smaller city centre shop is great, especially for those not in easy reach of the Wednesbury or Coventry branches. But its chosen location raises far more questions. Does this mean that the Martineau Galleries development is kicked into the long grass and that the ugly car park is here to stay? Can the car park be clad or given a makeover so that when trains start rolling into Curzon Street Station one of the first buildings passengers see will not be that grubby, ageing legacy of Birmingham’s architectural dark ages? And finally given IKEA’s reputation couldn’t they knock up a clean, modern and energy efficient store in seconds from a flat-pack kit? Ever since the dark days of the postal vote fraud on an industrial scale, Birmingham’s elections have been hit by claims and counter-claims of candidates and their supporters engaging in he full range of election rule-breaking, from sharp practice to downright fraud. Little has been proven to the satisfaction of the courts and many of the claims can be written off as spurious attempts to unsettle rivals. Last year independent observers from 22 countries, all members of the Commonwealth Parliamentary Association (including that bastion of democracy Uzbekistan) raised concerns about breaches of polling station etiquette in Ladywood. They found active campaigning, bordering on intimidation, around polling stations and groups entering voting booths together, rather than casting their vote individually. So it is to be applauded that the city council took the concerns seriously and sent independent observers, including a former police officer, to ensure fair play at this week’s polls. Is this the most pointless election ever?